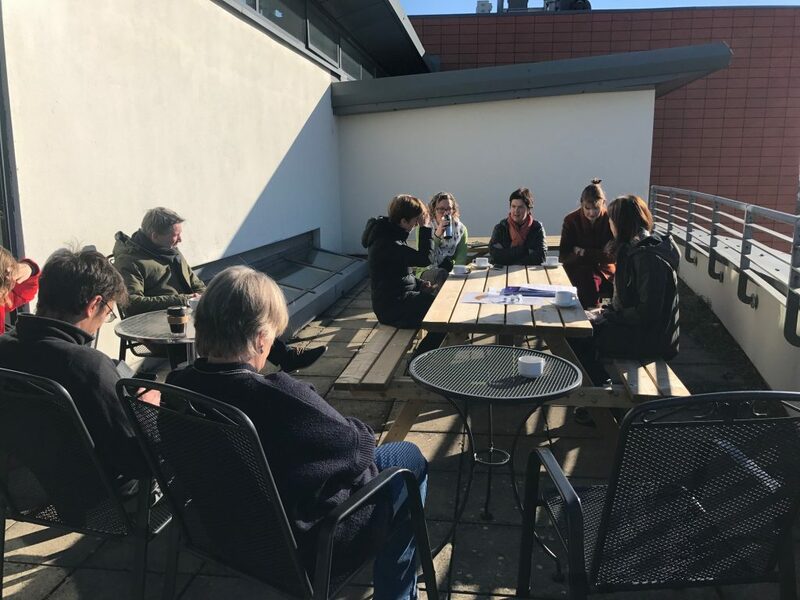 The Water Institute held its first Water Café last week where the sun shone and allowed us to hold it on the Invent sun terrace. The speaker on the day was Geraldine Cusack of Siemens. Geraldine is Senior Business Analyst – Energy, Water & Sustainability at Siemens who is based in DCU Alpha. Geraldine spoke about her role within the Siemens group and how Siemens are leaders in environmental sustainability. Siemens are an international business providing service and products from turbines, instrumentation, healthcare and so much more https://www.siemens.com/global/en/home.html Geraldine’s fact and figures were fascinating and in particular she explained how Siemens sustainability pillars are so important to them and including the customers within those goals to ensure a sustainable future for all are essential.